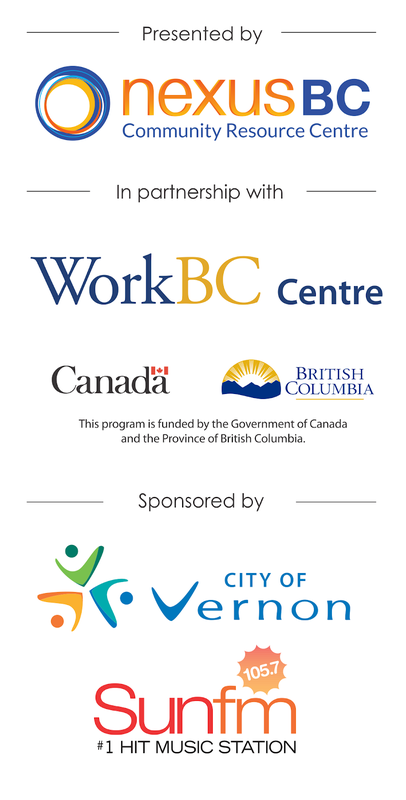 The following employers will be participating in the 2019 Vernon Job Fair. Stay tuned for more additions. AcuTruss is Western Canada's premier supplier of professionally engineered and manufactured roof truss and floor support systems supplying complete engineered solutions to the residential and commercial building industry. AdvoCare Health Services has been providing quality care to seniors in our community since 1991. We maintain a culture which recognizes and empowers staff to excel in their roles knowing they are integral components and are at the forefront of care excellence. We recruit and retain staff that possess the appropriate education and certification, experience and attitude required to work well in a resident-focused and positive team environment. Agri-Trans Services is celebrating 25 years specializing in transporting Agricultural commodities (liquid & dry bulk freight), lumber, pipe, steel, pumice lava rock and other goods. We are a supply chain partner with leading manufacturers, millers and food processors. Managed from our head office in Armstrong and a regional division in Abbotsford, we serve the Pacific Northwest as far east as Manitoba and into the USA. Our brokerage department will plan and execute the logistics of any haul. The Armstrong Regional Cooperative operates gas bars in Vernon, Armstrong and in Salmon Arm. We also operate three commercial cardlocks in Armstrong, Canoe, and Scotch Creek as well as we deliver bulk fuel throughout the Okanagan and Shuswap. We are proud to be 100% Canadian and member owned. Avalon Event Rentals rent tents, tables, chairs linens, dinnerware, glassware and cooking equipment etc... to the event party and wedding industry. We strive to provide an environment that is fun to work in every single day, and we are looking for motivated, hard-working individuals who want to become part of our team. BC Corrections plays a leading role in British Columbia’s criminal justice system by protecting the community through offender management and control. Corrections Branch manages community work service and supports offenders to make positive changes in their behaviour and attitudes. The Canadian Armed Forces offers a wide variety of challenging and rewarding careers, with little to no experience or training required. Since 1987, Darford has been all about creating premium dog treats - always with the best natural ingredients. Our treats are oven baked, flavorful, healthy and they come in a variety of shapes, sizes, and flavors that your dog is sure to love. CanAm/Darford is a locally owned and Vernon based company that reaches to countries around the world. We are actively seeking team members to join our production, packaging and warehouse departments. We do all on site training and no experience necessary. We offer a positive work environment, excellent wages and benefits. Come see us at the fair! With meaningful opportunities to shape your community’s future, a career with the City of Vernon will keep you and your career moving forward. We offer a competitive compensation package, training and educational opportunities—and like-minded, inspiring colleagues. Our team members are provided with the tools and skills needed to thrive in the organization. Commissionaires is Canada's only non-profit security company. At Commissionaires, we're always looking to grow our team. Our reputation in the security industry is second-to-none. That is because we hire individuals that enjoy working for an organization that gives back to its employees. Coral Beach Farms is a fully integrated sweet cherry producer, headquartered in Lake Country, BC. This growing operation, which maintains several unique geographical locations throughout the North Okanagan Valley, is the largest cherry organization in Canada. Incorporated in 1965 Corbett Office Plus is a 100% Canadian locally owned and operated business committed to the Okanagan community. For over 53 years we have been helping Okanagan businesses grow and succeed by offering a complete range of products and solutions including office products and supplies; office furniture; imaging systems; technology and technical support. We are ideally situated to serve the entire Okanagan region with quality products and exceptional services. Davison Orchards is a dynamic place, it is a family place, and at times it is a crazy place! We grow over twenty varieties of apples and have eighteen ground crops spread over 120 acres of land. We are home to a bakery, cafe, cannery, beautiful retail store, a farm play area, rustic animal barn, a produce packing line, and our own fresh apple juice press. Our season runs from May 1 to October 31. The Universal Group is an industry leader in traffic control services, traffic management planning, traffic equipment supply, landscaping, demolition services, temporary labour and occupational health and safety training. We have a Traffic Control Division on Vancouver Island, in the Lower Mainland and now in the Okanagan. A home is most Canadians' single largest financial and emotional investment. At The Home Depot, our goal is to help customers create and maintain the home of their dreams, whether they want to do it themselves or have it done for them.The Home Depot caters to do-it-yourselfers, as well as home improvement, construction and building maintenance professionals. Hytec is a KOHLER company located in Armstrong, BC that is an ever-growing business focused on providing quality bathing products. We have been a part of our community and serving Western Canada since 1979 and have been part of the Kohler family of business since 1987. Located in the Southern Interior, Interior Health (IH) is one of six publicly funded health authorities in the province. With more than 19,000 employees and nearly 1,600 physicians on our team, we are developing the future of health care through innovation and professional development. IH is currently hiring for various professions across the region. Come chat with us about our career opportunities! Kal Tire is Canada’s largest independent tire dealer and one of North America’s largest commercial tire dealers with over 260 Kal Tire retail and commercial stores in Canada, warehouse facilities and 10 retread manufacturing plants. In addition Kal Tire’s Mining Tire Group is a global leader in mining tire service and supply, operating on more than 150 mine sites across 18 countries and five continents. The company employs more than 6,500 team members globally. We are a CARF accredited non-profit charity supporting children, youth, and adults with diverse abilities with residential options, day programs, community inclusion and employment services, affordable housing, and Thrift Stores. We are in communities throughout the North Okanagan and Shuswap. We are seeking compassionate, dedicated people as Community Support Workers, Respite Workers, and Home Share Providers. Education and/or experience in caring for children with special needs and/or adults with intellectual and other disabilities, mental health challenges, behaviours, and physical impairments is necessary. Class 4 driver’s license, clean driving record, First Aid, and Criminal Record Check are mandatory. Physical stamina and strength are required to support people with personal hygiene and dressing. Kindale front-line staff are members of the BCGEU. KingFisher is the fastest growing designer, builder and marketer of welded heavy-gauge sportfishing boats in North America. We build and distribute 33 models supported by a 50 dealer network strategically located from across North America. Laing Roofing (Vernon) Ltd. is a commercial roofing and architectural sheet metal construction company. Laing Roofing Ltd. was established in 1987 and expanded to Vernon in 2007. We are one of the largest commercial roofing companies in the interior of BC. Laing offers our team members sponsorship / tuition to attend the RCABC Roofing, Damp and Waterproofing OR Architectural Sheet Metal programs. Liberty provides smart security, automation, and energy management solutions to residential, commercial and health care customers. We have installed over 60,000 residential and commercial systems across Canada, and also service more than 100 health care facilities. We believe children should have fun and experience hands-on learning, and that we should offer an environment that respects and nurtures the pace of each child’s development. At Maven Lane, we’ve adopted the Emergent Curriculum approach to early learning because it reflects our beliefs and it mirrors what we know about how children learn best. We employ a hand-picked team of knowledgeable and nurturing early childhood educators who are committed to ongoing professional development. On Side Restoration Services is one of Canada’s leading and privately owned restoration companies. Since 1979, we have been on your side, earning trust and credibility among clients and business to business partners along the way. Restoring damaged homes and businesses and often, the contents within, 24-hours a day 365 days a year, is what we do. Our continued success has allowed significant growth. Today, we operate 33 branches coast to coast from Victoria BC to St. John’s Newfoundland. Do you have superior customer service skills and a passion for helping people? Are you able to think quickly on your feet and defuse difficult situations? Your track record of handling a great deal of responsibility combined with your varied life experience and enthusiasm for a job well done make you an ideal candidate for our team, and we want to meet you! Peace River Hydro Partners is a partnership between ACCIONA Infrastructure Canada Inc. and Samsung C&T Canada Ltd. PRHP holds the main civil works contract for the Site C Clean Energy Project. The MCW contract is valued at approximately $1.75-billion and includes the following key components: earthfill dam, two diversion tunnels, concrete foundation for generating station, spillways and dam buttress. We are a real estate development resort community that offers golf, hiking trails, cycling, tennis and pickle-ball courts and yoga platforms. Our seasonal operation includes positions for Food and Beverage, Golf, Landscape, Grounds, Housekeeping and Accommodations. Silver Star Ski Resort Ltd.
Destination and local resort open for hiking, biking and groups. Adorned in crystals and situated on top of a granite bluff overlooking Lake Okanagan sits Sparkling Hill Resort, a modern oasis of well-being, one of the premier destination spa resorts in the world. At Sparkling Hill Resort, we are proud to offer exciting opportunities in hospitality careers. We strive to create a family-style environment and recognize that our people and their development are the most important asset to our resort. SQM is a leading market research specialist firm for benchmarking, tracking, and improving customer and employee experience, powered by SQM’s mySQM™ CX Insights software. Our baristas personally connect with, laugh with and uplift the lives of our customers. The work goes beyond handcrafting a perfectly made beverage; its abut creating a human connection with every customer. We have full time and part time positions available. Assisted living and complex care home in Vernon. Tolko is a leading manufacturer of a wide range of forest products for customers around the world. For 3 generations, our family-owned company has delivered reliability, flexibility, efficiency and quality. We more than 3,500 employees strong with production facilities and offices across Western Canada. Tolko is the place to build a lifelong career with the support of a team dedicated to the well-being of you, your family, and your community. Houseboat vacation rental company on Shuswap Lake. Universal Packaging has been supplying packaging solutions to beverage companies since 1985. Over the years, we have invested in innovative technology and our team to become one of the largest bottle screen printers in North America. From start to finish, we are your one-stop shop - ask us about screen printing, bottles, cartons, Vinoseal closures and more. Find out why ACL printing is the perfect way to represent your brand in the marketplace. Vantage Living is a local family owned senior community company. We own several senior care homes in the Okanagan and throughout BC and Alberta. Our mission is to create vibrant communities that enable seniors to live healthier, happier and more fulfilling lives. We are seeking experienced health care assistants, LPNs, RNs, allied health professionals and hospitality staff like you to join our team of like-minded caregivers working together to enrich the lives of seniors. Salade Etcetera! Inc (a division of Vegpro International) is a family owned business founded in 1998. The company sells prepackaged salads across North America with four packaging plants, including our Coldstream Facility. We are one of Canada's largest vegetable produces selling our product to all major Canadian grocery chains and to leading US chains. Clients include Loblaw's, Wal-Mart, Costco, Sobey's, Metro, Save-On and all of their banners. Vernon & District Association is currently hiring for the following positions: Casual Community and Residential Support Workers, Regular Full Time and Part Time Community Support Workers and Regular Full Time and Part Time Residential Support Workers. If you work with a Community Mind and a Client Centered focus, Venture Training may a good fit. We are looking for individuals with a background as a Care Aid or in Human Service Work and with a minimum of 2 years related experience. Applicants who possess compassion, patience, and dedication to helping individuals with developmental disabilities live enriching lives are preferred. Your Career is Calling at Vernon Walmart. There’s a difference between a job and a career. A job is sometimes just a pay cheque. A career is more than that. A career defines how your skills, knowledge and experiences come together to build the life you want for you and your family. It’s part of life’s journey. Waste Connections of Canada (formerly Progressive Waste Solutions) is the third largest solid waste management company in North America with a network of operations in 39 states and 5 provinces. We provide non-hazardous solid waste collection, recycling and landfill disposal services to commercial, industrial, municipal and residential customers. The third largest solid waste management company in North America with a network of operations in 39 states and 5 provinces. The Skilled Trades Employment Program (STEP) is a government funded province-wide employment program focused on sourcing qualified candidates for BC construction employers who are hiring, and on helping British Columbians start or develop rewarding careers in the trades. Our program is a no fee service to both employers and eligible job seekers. We assist participants with their active job search and we can provide some financial supports for safety course fees, boots, work attire and tools needed to start work. The EJTC is a partnership between the International Brotherhood of Electrical Workers Local 213 and the Electrical Contractors Association (ECA) of BC. We have been providing apprenticeship training in BC for more than 100 years, and we are proud of our record of service and quality. Providing employment readiness programs and technology for work and computer literacy programs for people who have self reported disabilities. A post-secondary institution offering a variety of programs ranging from certificates to degrees. We have the second largest trades training institute in BC and offer free upgrading courses through our Adult Basic Ed department. A job board and so much more, WorkBC can help you find work, plan your career and education, get skills for today's labour market and connect with employers.